I don’t hide my love of a good roast chicken dinner! The chicken with roasted beets and kale recipe I shared two years ago is one of the most popular chicken dishes I’ve shared to date but if you’re looking for a chicken dish that will impress keep reading. Chicken Marbella is an easy chicken dish that satisfies a crowd for a mid-week meal or a dinner party. Best of all, it’s pretty easy to make. 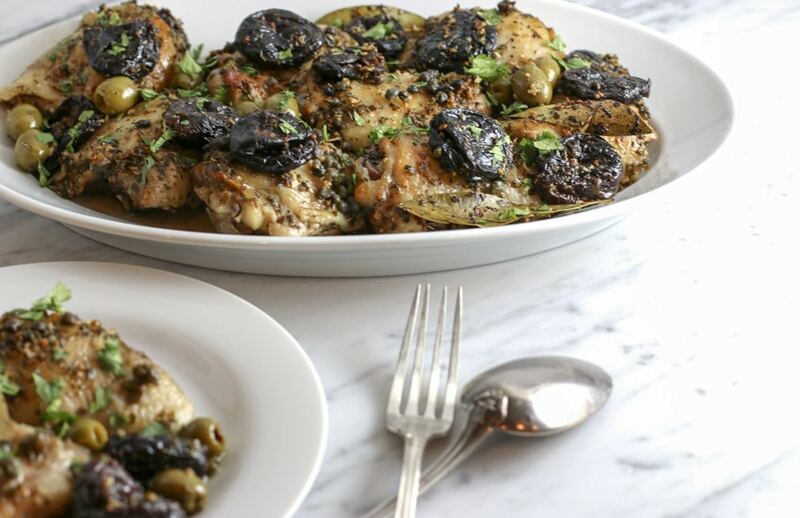 Chicken Marbella shot to fame in the 1980s when it was first published in The Silver Palate Cookbook. 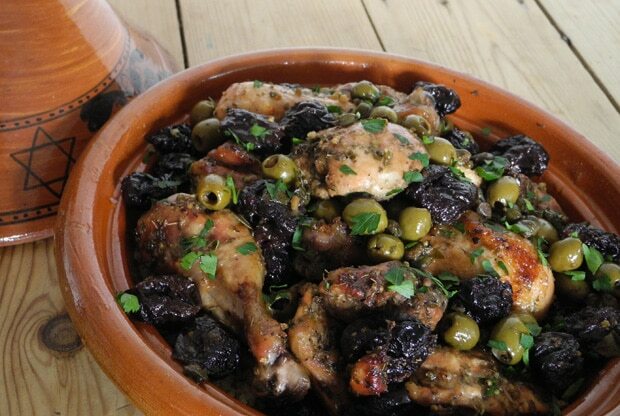 Over the years there have been countless numerous variations on the core theme of chicken, prunes, capers, olives and wine. 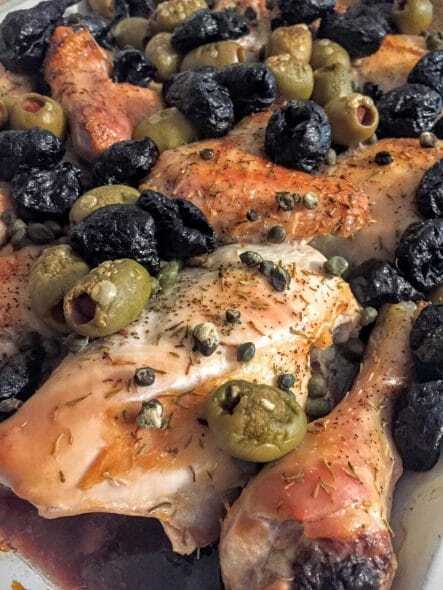 As the chicken is cooking the sweetness from the prunes sweetens the dish and the olives and capers offer a salty balance. There’s no wonder that Tablet Magazine calls this a go-to classic for the Passover Seder. The fame of Chicken Marbella isn’t limited to Jewish cooks and kosher kitchens. Around the world, food writers, bloggers, and home cooks have been serving this winning chicken dish to their families and guests. Here are some of my favorite variations of the dish. The NY Times recipe is true to the original in The Silver Palate and brining your chicken overnight which is always an excellent idea. 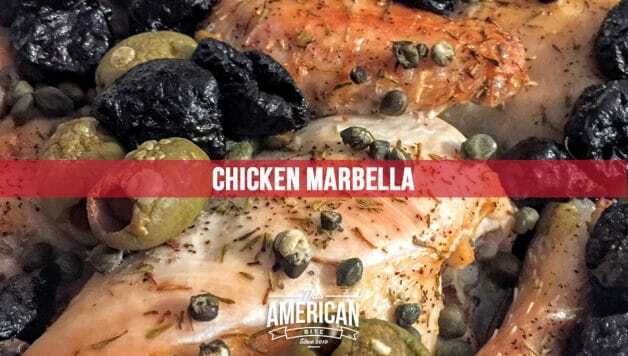 Chicken is versatile in that you can make a delicious chicken dinner in a hurry or you can step up your game by marinating or brining for a couple of days. In a stark contrast, this recipe from The Dish removes the long marinating process but look at how well seasoned that chicken is. Serving Chicken Marbella on a bed of rice is an excellent idea as you can soak up and enjoy the flavorful liquid from the main dish. One thing I recommend over and over again. Don’t throw out the liquid from your chicken dish. 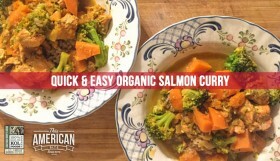 Keep it in a mason jar in the freezer and use it instead of water or stock next time you’re making rice. Something New For Dinner recommends making Chicken Marbella exclusively with chicken thighs as you’re less likely to dry out chicken thighs as opposed to white mean. That said, I’m a big fan of bone-in chicken thighs and when I use the Lottie + Doof Perfect Chicken Technique, the chicken is never dry. No matter which of these recipes you choose, you’re on the right track. If you want to give your dish an extra edge, make sure to use the very best ingredients. I tend to add some depth of flavor by using garlic stuffed olives and I love the sulfite free prunes from Trader Joes. Above all, make sure your chicken is of the highest quality. 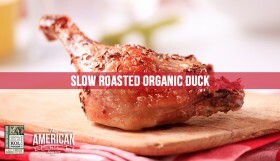 For this recipe, the kind folks at KOL Foods sent me their organic, hormone free chicken (Thanks guys!). I’ve long been an advocate of KOL Foods because they are supplying a healthy alternative to mainstream kosher meat and chicken. They are a highly ethical company too, paying their farmers a living wage. KOL are also incredibly mindful to keep their carbon footprint as low as they can. Above all, the chicken simply tastes better. My wife can always tell a KOL Foods chicken apart from the conventional poultry that we can buy locally, and shipping from KOL Foods is always fast with the meat arriving frozen solid. If you have any questions about KOL Foods, please reach out to me on Twitter (I’m @ysilver) or see my previous KOL Foods recipes. 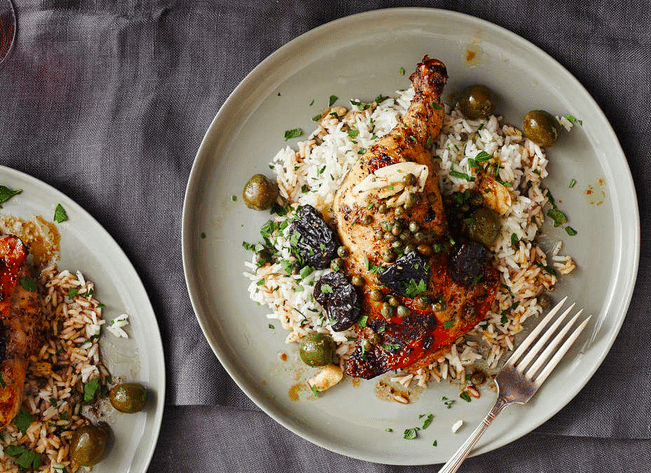 If I’m cooking for a crowd, I roast my Chicken Marbella in my Le Creuset rectangular roaster but I really love how this dish comes out when I use the tagine my wife gave me for my birthday a few years ago. Pat your chicken dry with a paper towel and season with the dried herbs. 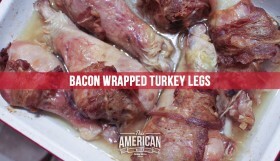 Place in a large roasting dish. If you plan to cook in a tagine, transfer the chicken to the tagine for cooking after has marinated. Add olives, capers, prunes and wine and refridgerate for at least two hour. Overnight is ideal. If you’re really preparing ahead, two days is great too. Preheat the oven to 425 degrees and put the chicken in the oven, uncovered, for 45 minutes. Reduce the heat to 350 degrees and cook for another 15-30 minutes until the chicken is fully cooked. 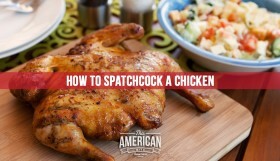 To check if your chicken is fully cooked, use a meat thermometer and make sure the internal temperature is 165 degrees. 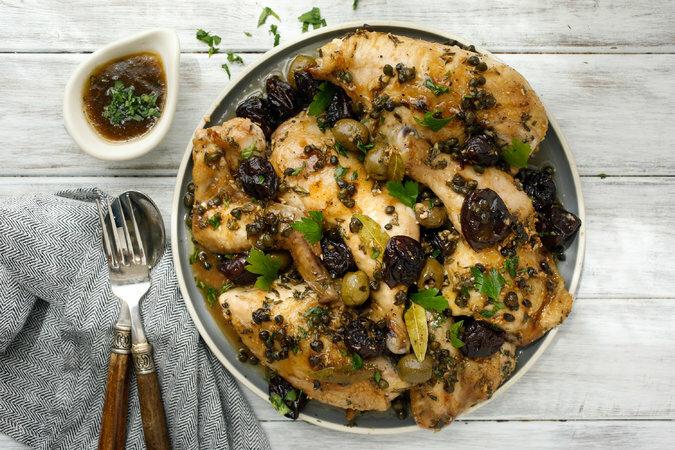 When serving, place the chicken on a serving platter and spoon some of the liquid, as well as the prunes, capers and olives over the chicken. Garnish with chopped parsley.